Your phone always runs low on battery at the worst time, doesn’t it? Even if you leave the house with a 100 percent charge, somewhere along the way that dreaded LOW BATTERY warning pops up, often when you need your smartphone the most. While this situation is sometimes unavoidable, there are a few surefire ways to quickly power up your phone. Check out our five tips below to alleviate this aggravating situation. Opt for the wall socket over the USB port. While connecting your smartphone to your laptop via a USB cable is maybe the most convenient way to recharge, it doesn’t provide as quick a charge as the traditional outlet cable. This is because USB ports usually only charge at 0.5 amps, so it’s going to take twice the time to charge your phone than the 1 amp power adapter it came with. Invest in a high-powered charger. 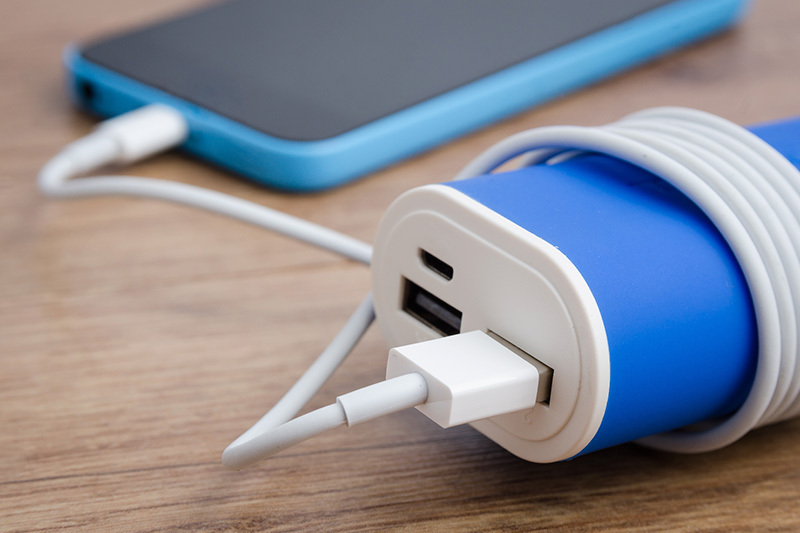 With the previous tip in mind, you might even want to invest in a charger with even greater power, such as the 2.1 amp charger that comes with an iPad (and available separately as well). Don’t leave home without a battery pack. Invest in a portable battery pack and bringing it up to a full charge before leaving the house. Then, keep it around for when you need that extra boost in a device. Put your phone in airplane mode. Next time you’re charging your smartphone, be sure to put it in airplane mode beforehand. You may not be able to receive text messages or calls while it’s on, but guess what—you shouldn’t be checking your smartphone while it’s charging anyway, as doing so also drains power. Needless to say, powering your phone down completely before charging is even better. Stay cool. Heat is tough on your smartphone. Give it a break by removing the case and finding a cool place (out of direct sunlight on in hot spaces, like the car) during a charge. Good luck with a speedy charge!